UDM Downloads > Aquatica engine! Aquatica engine can be used to simplify the implementation of water surfaces in application with DirectX9 graphics. 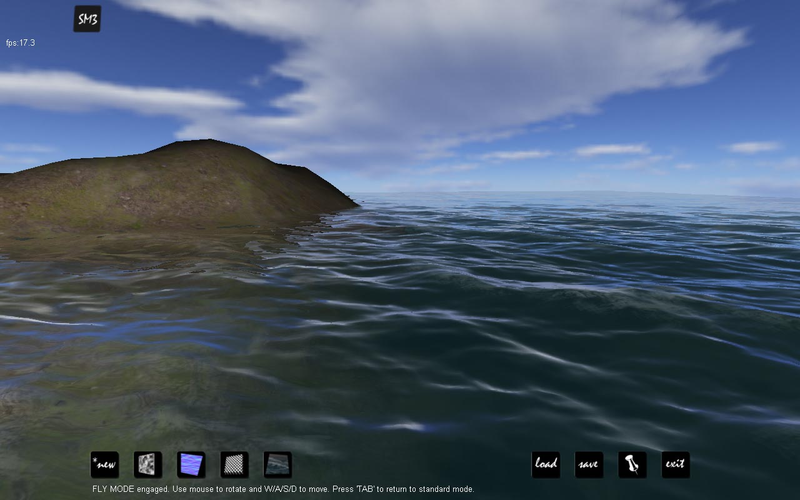 Key features of the engine: - Water surface approximation using heightmaps. - Heightmaps can be generated in realtime using FFT or Perlin noise. - Generation of normalmaps - Generation of geometry: simple grid, geomipmap grid, radial grid - Water rendering options include: reflections, refractions, CPU/GPU vertex displacement, foam rendering, sunlight reflection rendering, depth effects. - 4 DirectX9 based rendering engines are available for different types of hardware, starting with DirectX7 and up to Shader Model 3.0 - Distributive free editor which allows to create and customize water surfaces, export them to files. After that you can import the exported water surfaces in your graphics application using the Aquatica engine source code.